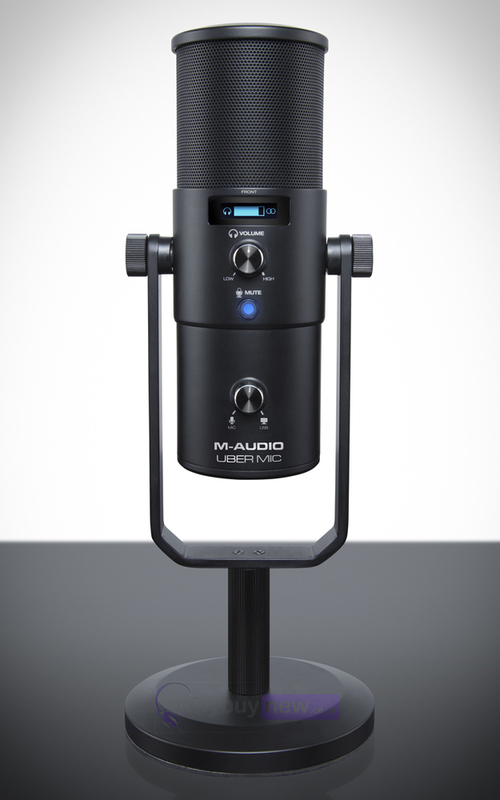 The M-Audio Uber Mic is a professional, studio-quality USB microphone suitable for recording, streaming and broadcasting applications. It features switchable polar patterns, depending on your needs and a headphone output. 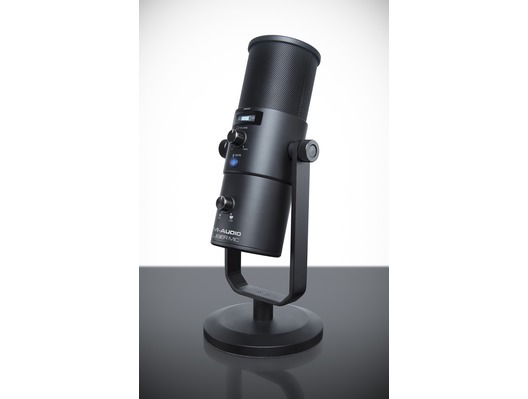 This fantastic versatile microphone can be stand mounted or desktop mounted using its included stand. Complicated setups are a thing of the past. 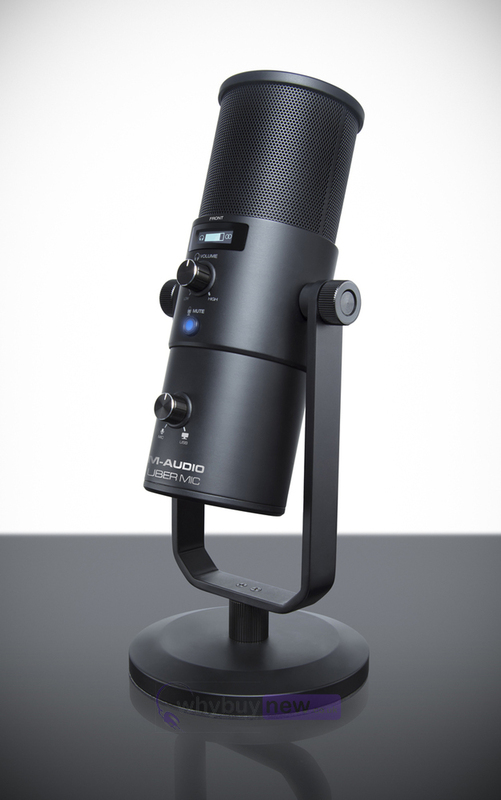 Thanks to a dedicated stand for ultra-convenient desktop mounting, plus a threaded insert for optional stand-mounting, Uber Mic is versatile, full-featured and sonically impressive. 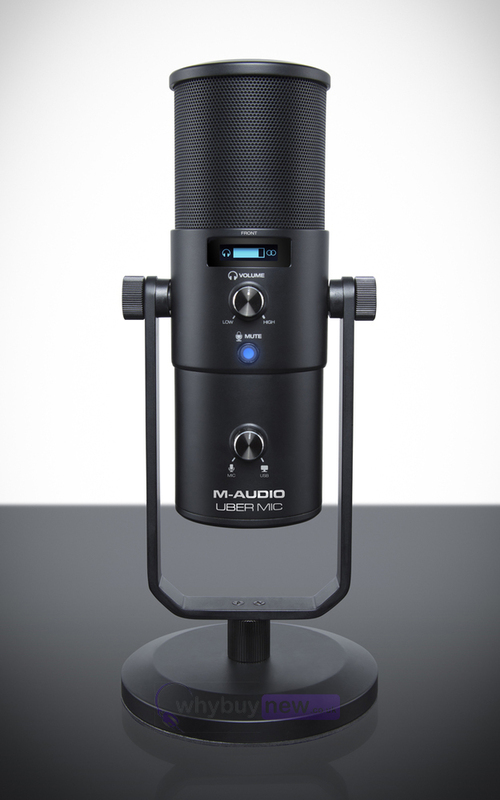 Whatever your recording needs, think Uber. Comes with Pro Tools First, Eleven Lite, Xpand!2 and 2GB Sample Library from Touch Loops.